It is important for those who have recently started vaping to know about the huge customisation options available to them. Customisation allows you to improve the vaping experience and make it more personal. A variety of things can be customised from the colours of the vapour to the flavour to the volume and so on. There are a number of ways you can customise your e-cig and e-liquid so that you can enjoy a truly personal vaping experience. All customisation options can be categorised into these five basic sections. The device or the housing of the e-cig. The tip of the e-cig which is used for puffing. The battery present in the device for providing the power. The atomizer which is responsible for heating up the liquid and vaporising it. The cartomizer or the tank which contains the atomiser and the nicotine e liquid for your ecig. There is no reason why you need to stick to a basic e-cig without any design whatsoever. You can customise all the components inside an e-cig and make them as colourful as you want. You can start with the cartomizer and get a colourful one. You can opt for advanced models that increase the volume of vapour produced. Batteries, similarly, can requite colourful. It is also possible to opt for batteries with a higher power capacity so that your e-cig lasts for longer between charges. The tips can be modified as well in a similar fashion. These days, it is possible for e-cigs to be integrated with advanced technologies. For example, you can get an electronic cigarette with a digital display and a counter. The display will show you how many times you have puffed. You can also take your pick of materials for your e-cig. 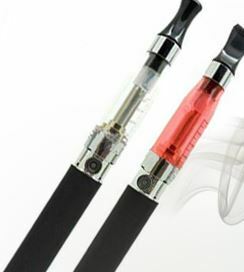 You can opt for an e-cig that has been made with stainless steel for example. Of course, that has only been the visuals. The actual vaping experience will depend on the combination that you are vaporising. There are seemingly endless combinations of flavour and nicotine possible. Of course, you don’t have to use nicotine. You can also make your own combinations for a personalised vaping experience. When it comes to using e-cigs, you have a variety of options available to you when it comes to favour. You can choose something as simple as menthol or something as exotic as chocolate or even the flavour of a Cuban cigar. You can even create custom blends such as one which contains a mixture of fruity flavours. There are two main ingredients in e-liquids. They are as follows. The amount and ratio of these ingredients can affect the experience such as the throat hit and the volume of the vapour cloud produced. Nicotine is another component. However, it is optional. The concentration of the nicotine in the e-liquid can be customized as per your tastes. You should always remember to choose ingredients that have been certified to be safe by the food and drug regulatory body.